In the beginning of the school year, we work hard on building up our number sense, and often that includes a lot of games involving counting and of course working with numbers. One skill we work on developing is subitizing, or the ability to recognize an amount of objects without counting. 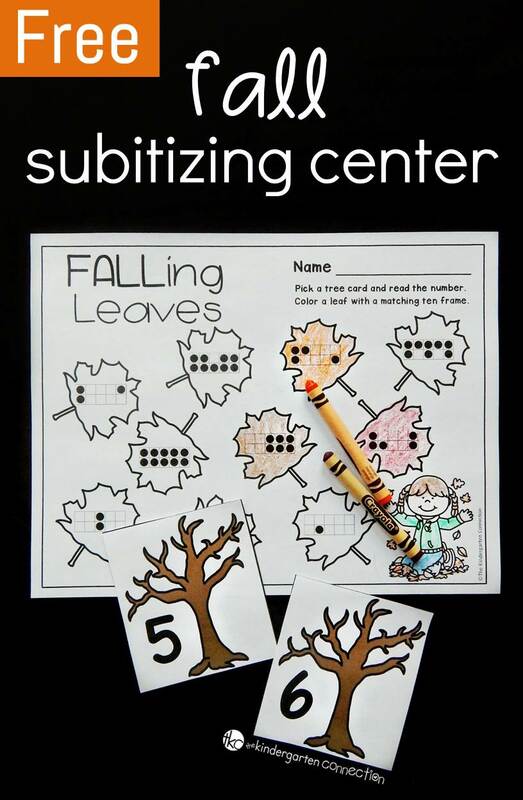 This fall themed subitizing math center is a great way to work on the skill of subitizing with ten frames with your kids this season! 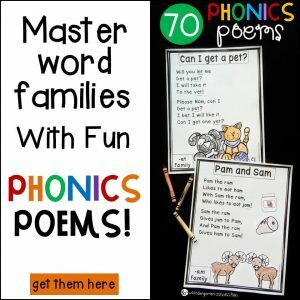 We “subitize” as adults all the time without necessarily realizing it, and pretty quickly into the school year, kids will become more and more proficient at it also. How does this help them? Well, take for instance rolling a die. We play a ton of dice games in the classroom, and often at the beginning of the year, kids count the dots one by one. However the more we play, the faster they are at subitizing the total, or knowing the amount they roll without having to count. 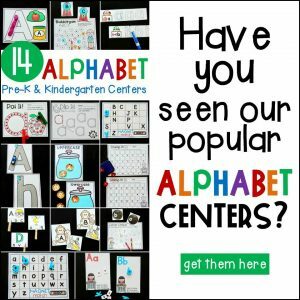 This fall math center takes that concept and applies it to ten frames, something else they are very familiar with in Kindergarten! 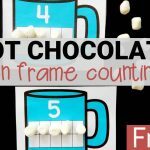 Typically when we use ten frames, kids see the dots filled starting at the upper left corner, but it’s important for them to realize that no matter where the dots are, there are always ten spaces. This allows them to work on subitizing strategies such as “if one row is empty I know there are 5” or “if there are 2 over there and 1 over there I know that’s 3.” It’s not always easy, and yes, sometimes they are counting, but it’s a great beginning to flex those number sense muscles! 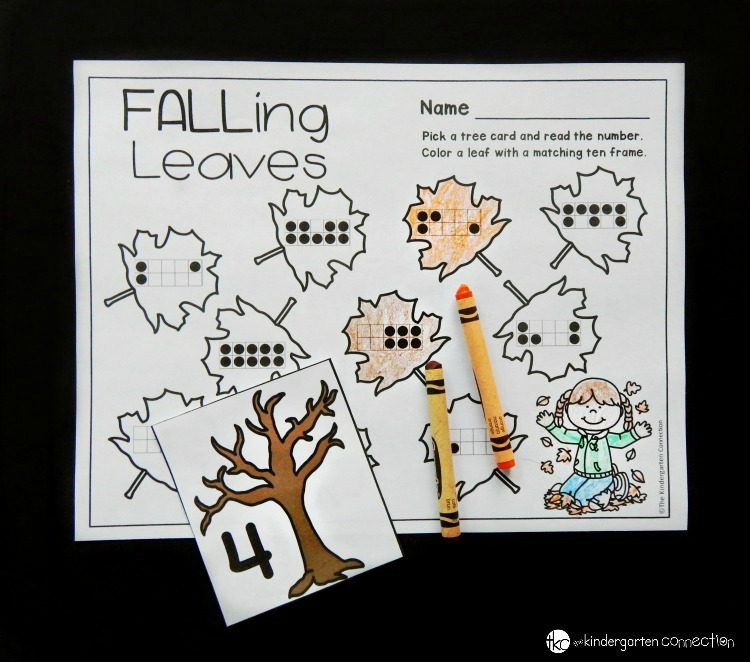 Simply print out the tree cards, laminate them, and then place them in a math center with copies of the recording sheets. 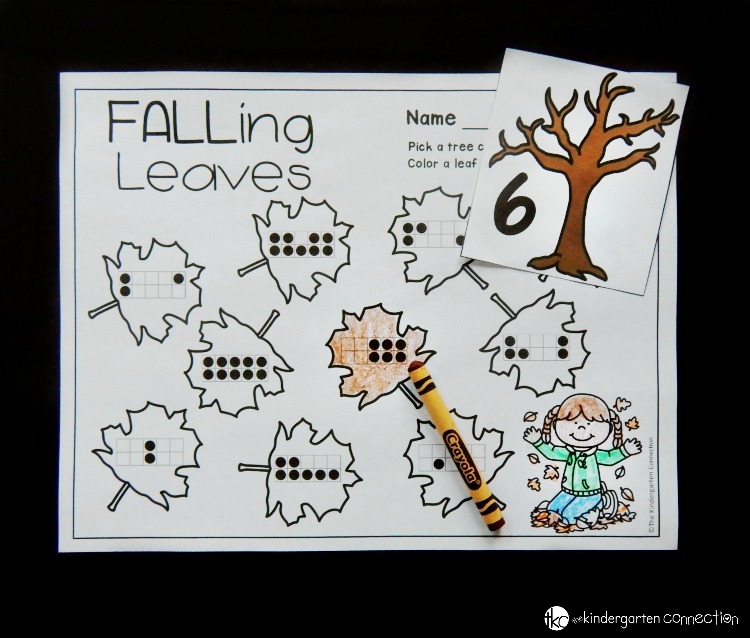 Students will pick a tree, read the number, and then color a ten frame that shows that amount! Ready for some subitizing fun? 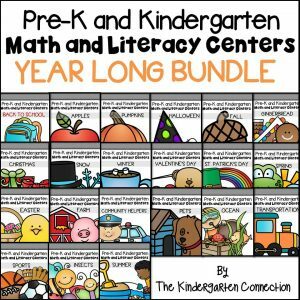 Grab your copy of this fall subitizing math center by clicking the yellow button at the very end of this post. 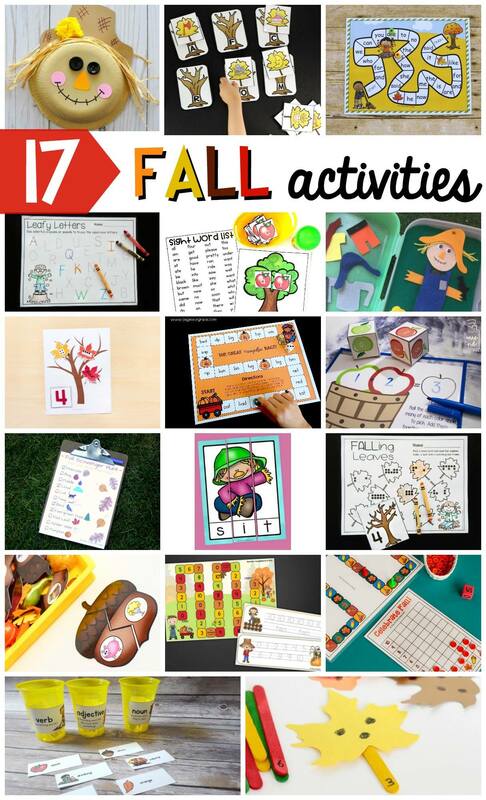 Then, for more print and play centers, hop over and grab our fall math and literacy centers! Looking for more awesome fall ideas your kids are sure to love? 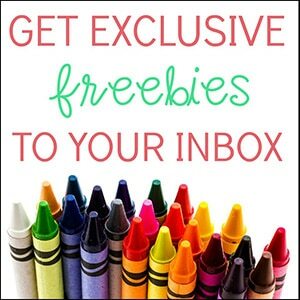 Check out these super fun and free activities, crafts, and printables from some of my favorite kid’s activities bloggers!